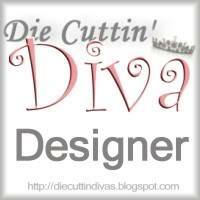 ← DCD – Anything But a Card!! As promised, here is what I did with the leftover die cuts from Cheeky Studio. The two cards are made using scraps from my stash; the sentiment is from Unity Stamp Company. The rest were used on this scrapbook layout. I am working on scrapping my daughter’s photos from way back. These are from different years, but they’re all friends and neighbors, thus the page’s title. I followed Stick it Down’s February single page sketch! So, that’s it!! This entry was posted in Paper Crafting and tagged scrapbooking, sketch. Bookmark the permalink. I love that card! What a wonderful sentiment and the paper and design are perfect!